Raise Awareness About Domestic and Sexual Violence – New Hope, Inc. Knowledge is power! Read articles, watch documentaries, attend events and connect with domestic and sexual violence resource organizations. By knowing more, you will be empowered to help yourself and others. Domestic and sexual violence are silent epidemics that thrive in environments of secrecy and shame. Did you hear a joke that condones sexual harassment, or a comment that downplays the impact of dating violence? If so, speak up! Let your friends know that abuse is no laughing matter. If you have a friend, family member, co-worker or neighbor who is experiencing domestic or sexual violence, find a private moment and share New Hope’s Hotline number: 800-323-HOPE. If you would like to display New Hope’s free resource brochures at your place of business, worship, school or gym, please contact us at: new-hope@new-hope.org or 508-226-4015. 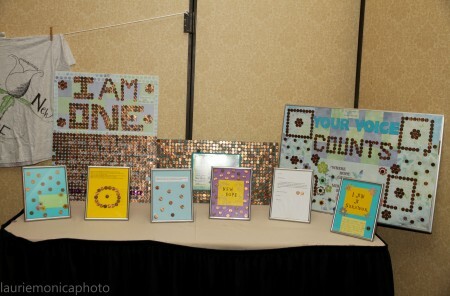 Lack of Con-Cent is a sexual violence awareness initiative in which survivors of sexual violence send New Hope a penny and a story or statement about the violence perpetrated against them. The individual stories are incredibly moving, and the collective display of pennies illustrates the prevalence of sexual violence in our society. 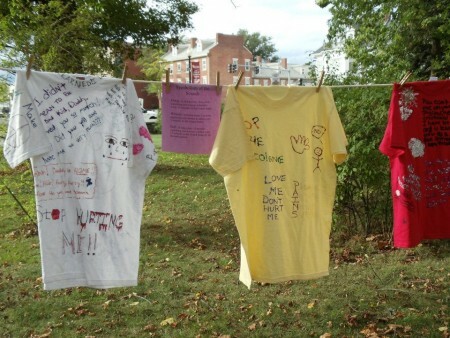 The Clothesline project is a moving display of t-shirts created by survivors of domestic and sexual violence. Each shirt tells a story of healing, as expressed by the survivors themselves.